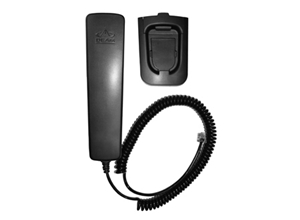 The Beam ISD955 Privacy Handset is an optional accessory for IsatDock LITE and IsatDock DRIVE for added convenience with auto sensing answer and hang-up cup intelligence to enable privacy calls. Auto answer on handset removal from cup . Auto hang up on handset placement back in cup .